Nearly ten years ago, I set out to find the location of a photograph that had intrigued me for a good many years. The image shows a battle scarred tree, riddled with bullets and set upon by an ax. Nailed to it was a sign board bearing a stanza from the Theodore O'Hara poem, "Bivouac of the Dead". Visitors to our National Cemeteries will recognize the poem, originally written to honor America soldiers killed in the Mexican War. Its stanzas are usually displayed at intervals amongst the rows of stones. 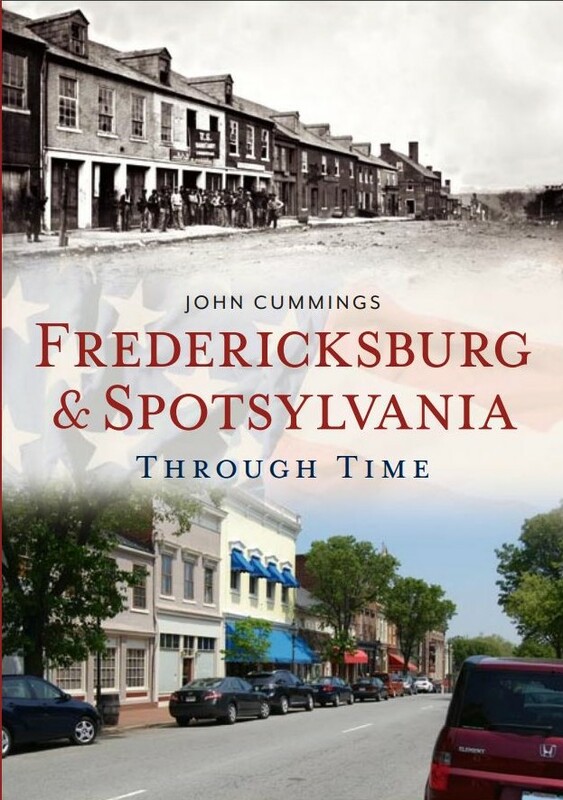 To make a long story short, my readers can visit a previous posting containing a podcast of a talk I gave in Charlottesville in March of 2013. Therein you will find more in-depth information on this and other images, taken under the direction of Dr. Reed Brockway Bontecou in April 1866. Additionally, I wrote an article which appeared in the April 2009 issue of Civil War Times Magazine, covering much of the same material. The original glass, stereo negatives had numbers scratched into their emulsion, thus you will see, oddly placed numbers in some prints from the series. The purpose for this posting is as a continuation of my study, and obsession, with this collection of images. As seen below, a severely damaged landscape extends beyond the tree. 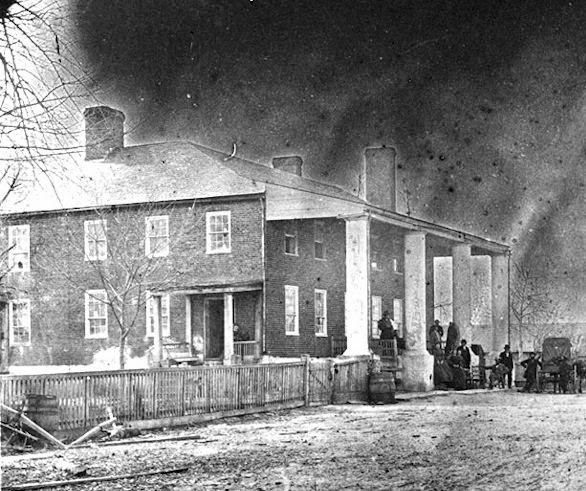 In the left, middle distance, just below the treeline, is the McCoull House, one of the Spotsylvania Battlefield's noted landmarks, unfortunately destroyed by fire in the early twentieth century, but nevertheless, thoroughly photo documented before its demise. Recognizing that structure is what brought about my identification of this site, and the path Bontecou and his entourage took in creating the series. Out of 121 known images taken, only 65 percent survive in print form. None of the original negatives are known to survive today. 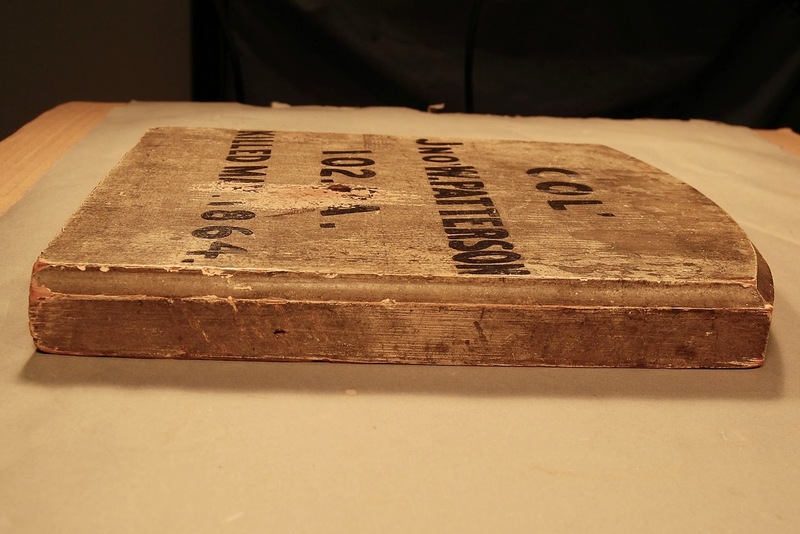 Initially thought to be a piece of board siding from a nearby structure, my examinations determined that the sign was painted on a grave marker, one of undoubtedly thousands supplied by the Quartermaster's Department in the the summer of 1865 to a Union burial party searching the battlefields around Fredericksburg for northern remains. 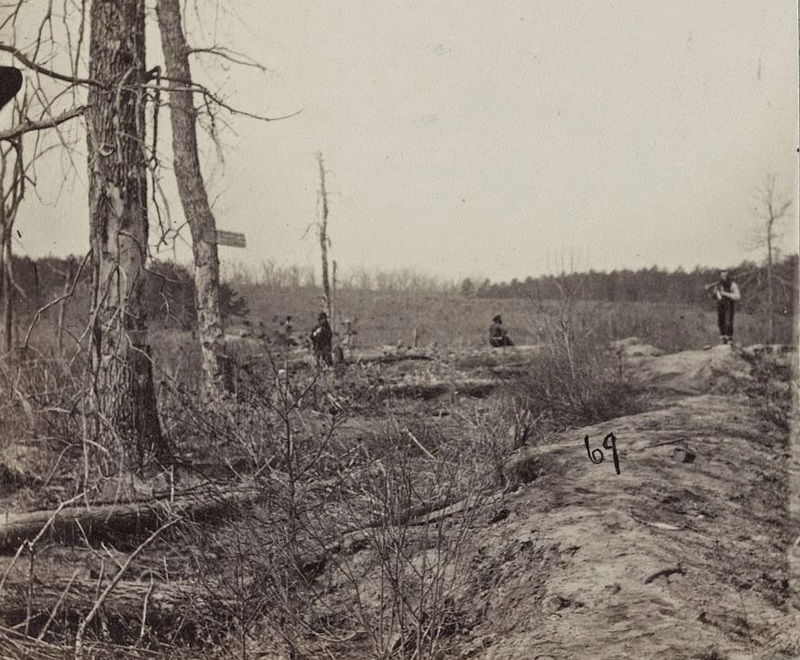 The haste with which both armies exited the region in May 1864, left numerous bodies unburied or in shallow graves. Northern homefront sentiment expressed concern that the recently defeated southerners would desecrate the remains of Union dead, thus an exhaustive effort was made to locate and gather them with legible headboards. Sadly, most would be marked, "Unknown U.S. Soldier". Marking these graves were uniformly prepared boards with arched tops and routed edges. Skilled sign painters were among those performing this task, as evidenced by the precise lettering seen in these photographs and a few surviving originals. 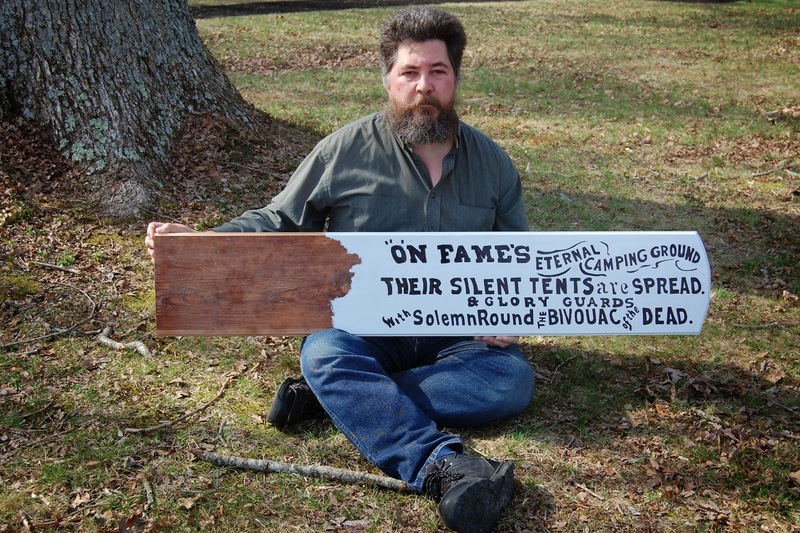 It was from one of these relics, on loan to the Fredericksburg and Spotsylvania National Military Park, that I obtained measurements by which I was able to create an exact-size replica of the sign on the tree. Based on these figures, it is also possible to now determine the height at which it was affixed, roughly ten feet, and the diameter of the tree, at approximately 17 inches. Based on documents found in the National Archives, I was able to determine that this image was taken on or about April 13, 1866. 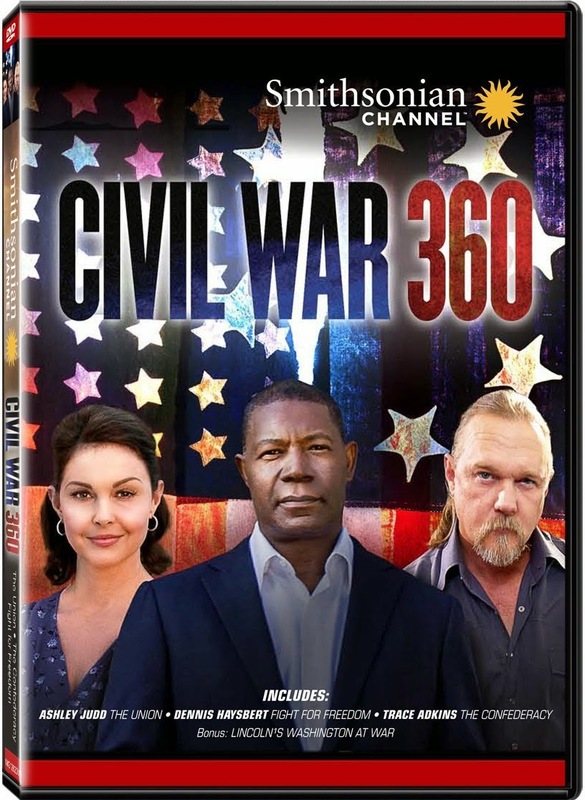 Knowing the location and date also allows an approximate exposure time of 8:30 a.m., Civil War time, which is 9:41 modern time, on that date, based on allowances for Daylight Savings Time and the creation of Railway Time in 1883. Shadows, and the amount of sunlight cast on surfaces, functions as a historic sundial, placing a time stamp of sorts on much of Bontecou's journey. due south, across the rear of the Confederate line, behind the Bloody Angle. Note the sunlight, and shadow created by the tree. 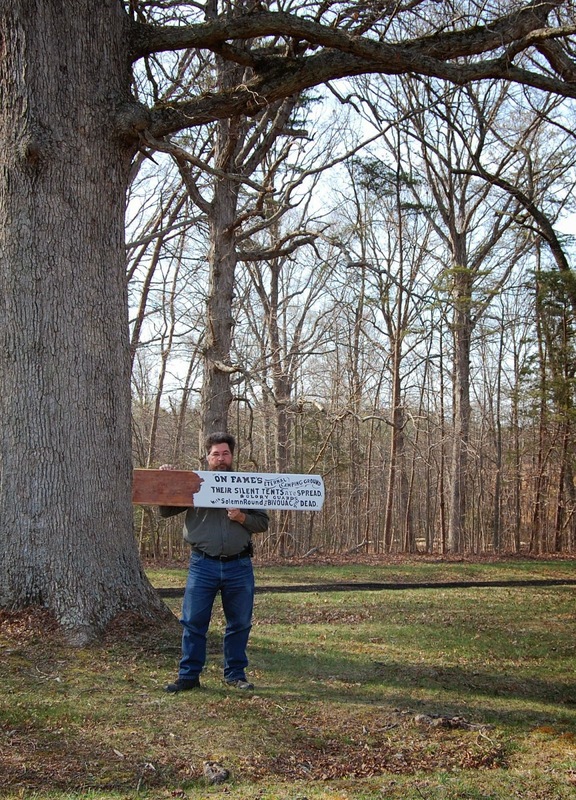 Holding the replica sign, near the location of the original tree, looking south. Taken at 9:45 a.m., on Sunday, April 13, 2014, 148 years after the original. A close-up of my replica, near the site of the original photograph. and measured by me on December 9, 2008, at Chancellorsville VC. from an antique board salvaged in a house restoration project. Colonel Emory Upton made his May 10, 1864 assault on the Confederate works. after the original image was taken. Note the sunlight and shadows. wagon is parked in front, at extreme right. This is image number 113. The same view at 4:25 p.m., Sunday, April 13, 2014, 148 years later. 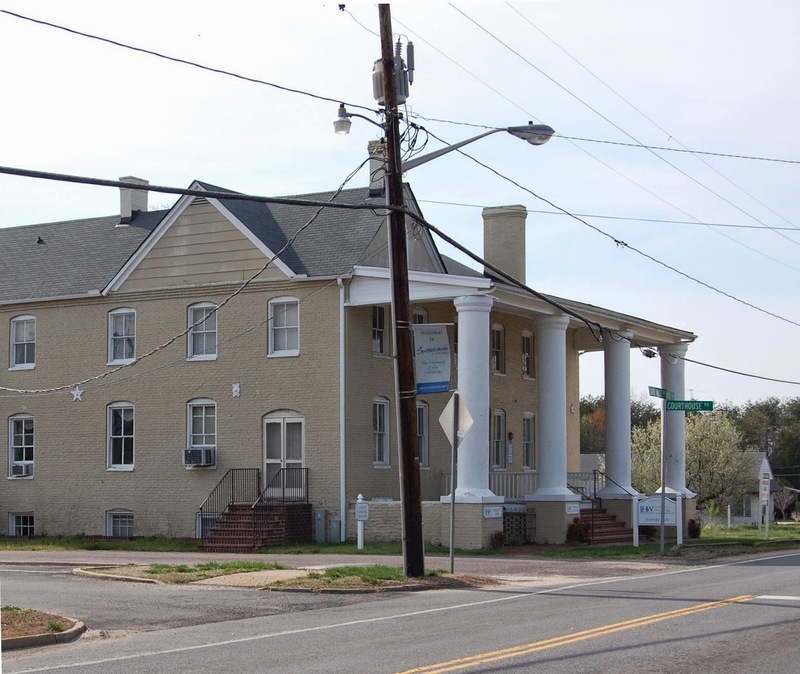 potential of this corner, located across from Spotsylvania Court House. The community well is at left of the wall surrounding the Court House lawn. 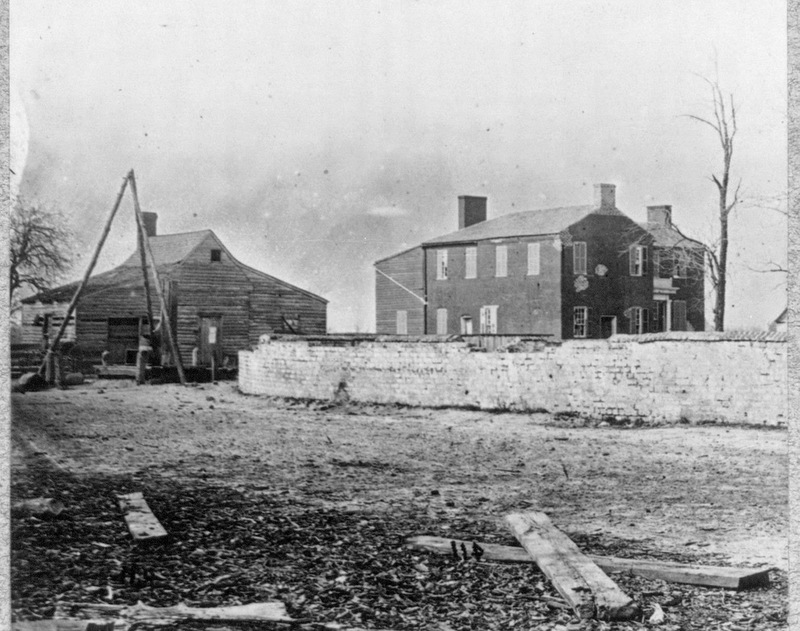 brick house, seen in the 1866 view, burned in 1930. As many of my friends and associates know, there is a forthcoming book on this series of images, and the story behind them. I have a very patient publisher who took interest in October of 2004. Time to wrap it up. Good work John. If I understand your point then the sign on the tree was slightly to the, Confederate right, of the apex of the West Angle. Accounts mention several large oaks along that section of the line. Most famous of course is the one shot down at the right traverse of Carrington's right hand gun. I find what appears to be a group of trees between Dole's Salient and the West Angle position. That appears to be in the same area as we see today. Excellent work, John. This is great material, and I am looking forward to the publication of your book. Well done on both the analysis and the recreation of the sign. Fascinating stuff here. Great work. Do you know the origin of the sign? Was it placed by the 1865 burial party or was it more recently placed when Bontecou arrived at the scene? 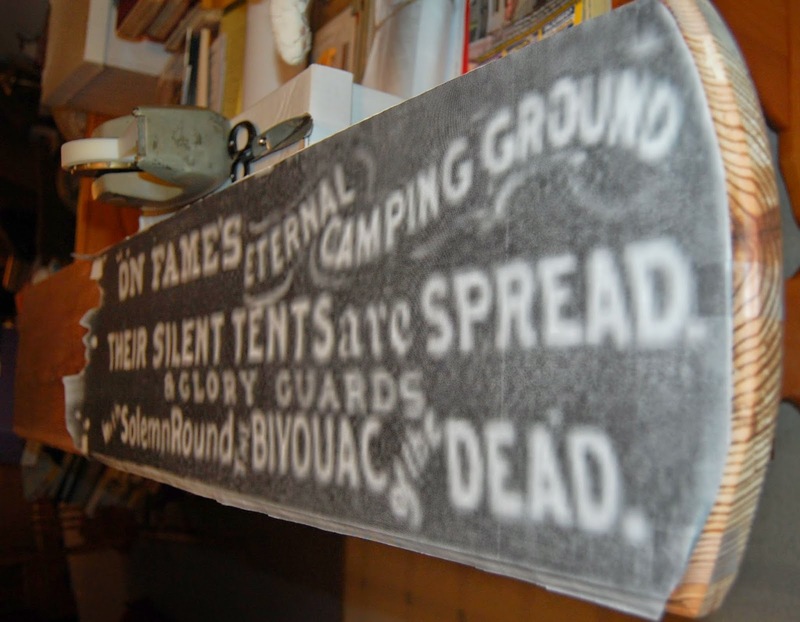 The bivouac of the dead.' 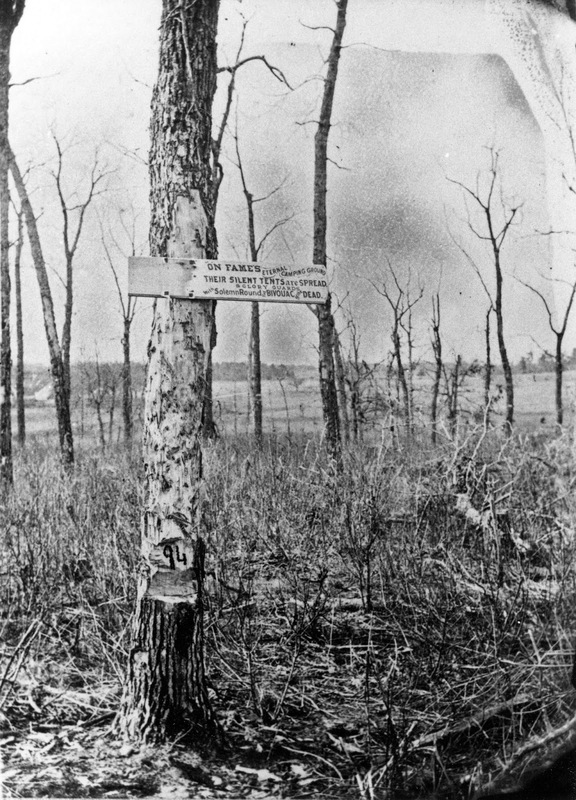 "
The photograph of this tree and sign is taken seven months later, in April 1866. 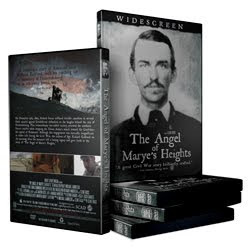 I didn't realize those pics were taken almost on top of the Bloody Angle, in what was the very thick of the fighting on May 12th, 1864. 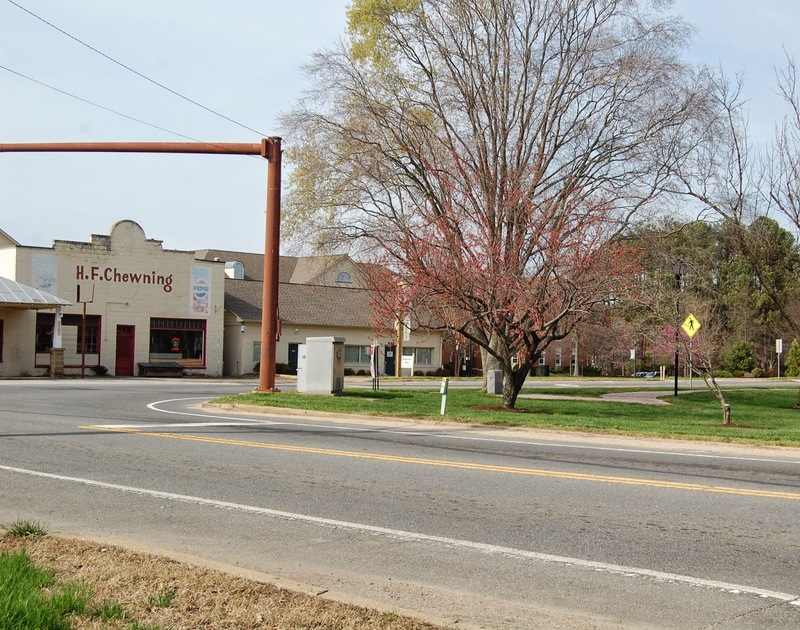 The 2nd Rhode Island and 37th Massachusetts of Oliver Edwards's brigade would have been on the Federal side of those works and the 14th South Carolina and the 16th Mississippi on the Rebel side, roughly. 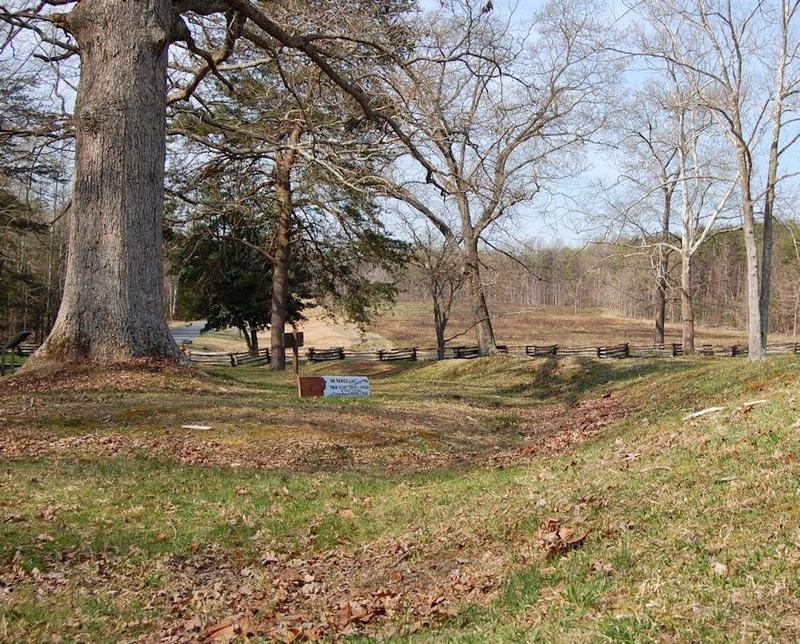 One can now appreciate what the earthworks looked like only two years after the battle. Thank you, John! I have been attempting to research this burial party, and your work here has been my best resource. The museum in the old Church where Grant visited is awesome. Best regards to the woman who gave us the tour in 2008. John, do you think the large tree in the modern view could be the same tree that's to the left of the "sign" tree in the original? I think it might be an oak and some oaks are slow growing and would be as big as one might expect. Probably has lead in it if it is.